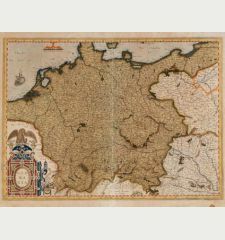 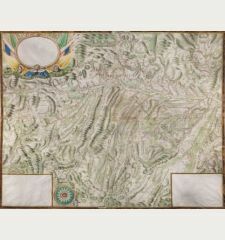 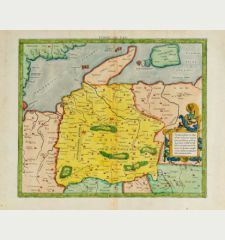 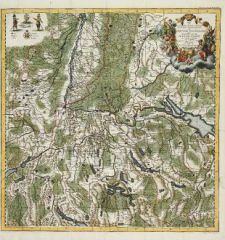 Coloured map of the Lake Constance, Swabia, Baden-Wurttemberg. 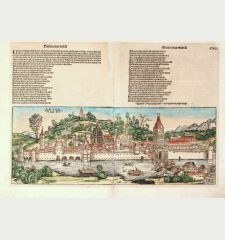 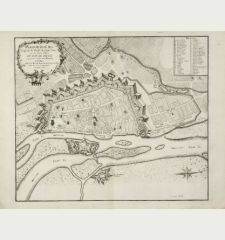 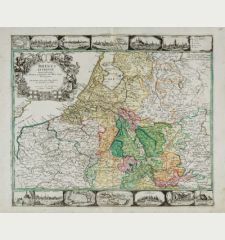 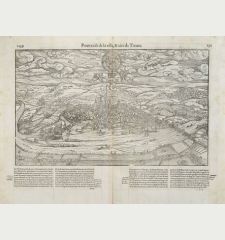 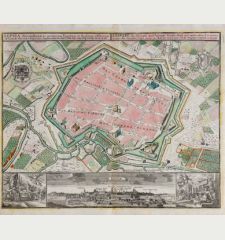 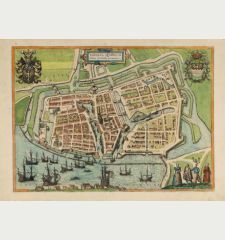 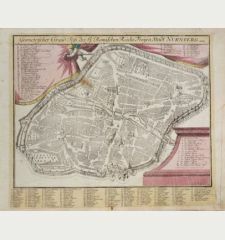 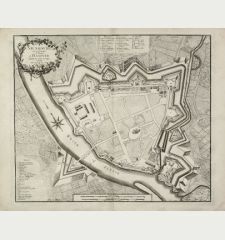 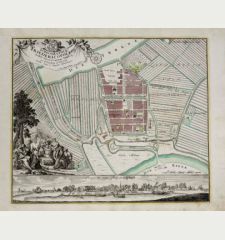 Printed in Antwerp circa 1573. 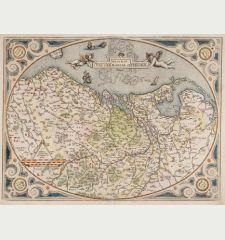 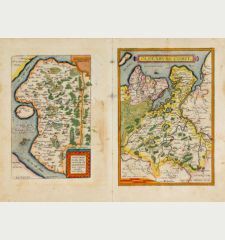 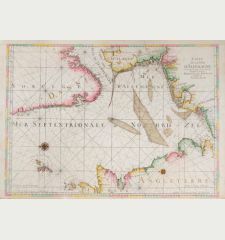 Beautiful coloured map of Swabia with the Lake of Constance (Bodensee) in South Germany of A. Ortelius. 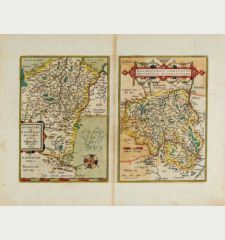 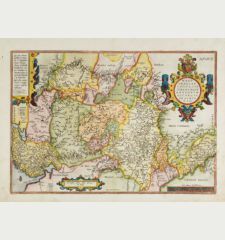 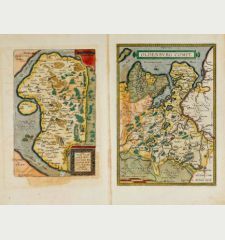 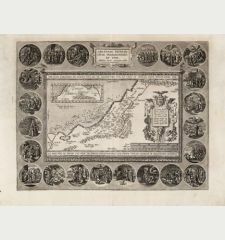 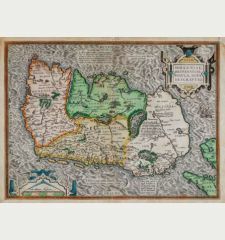 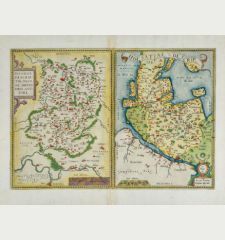 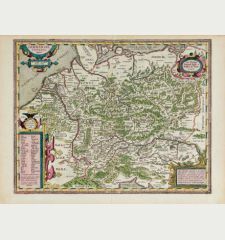 From an edition of 'Theatrum Orbis Terrarum' by Abraham Ortelius. 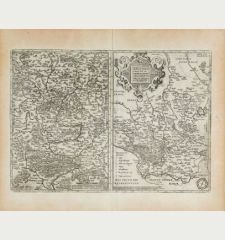 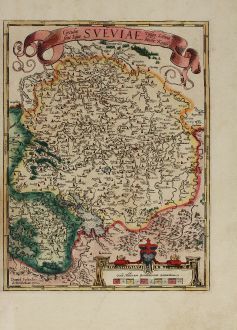 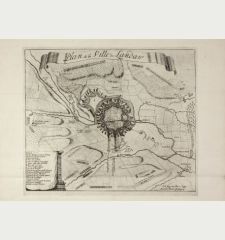 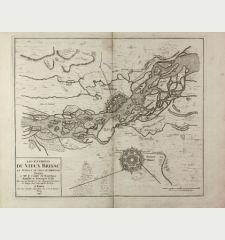 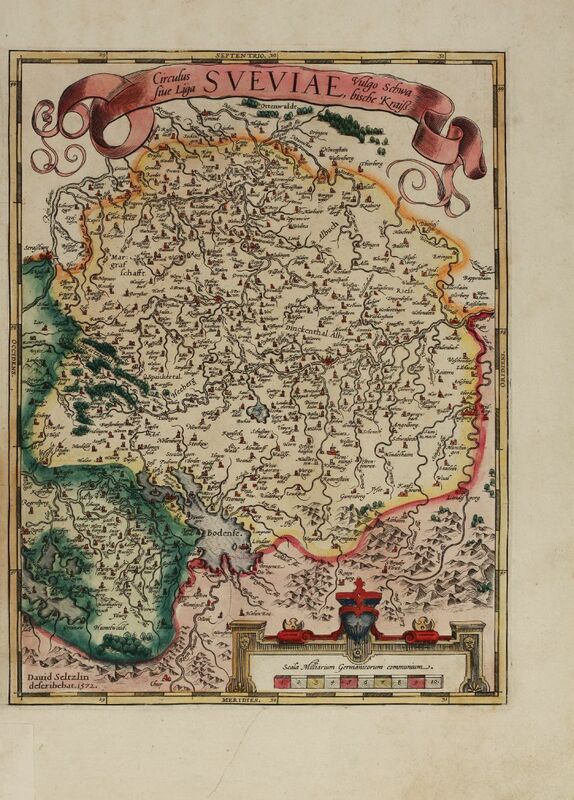 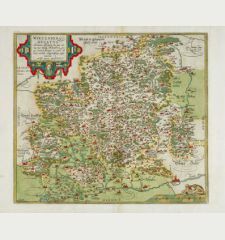 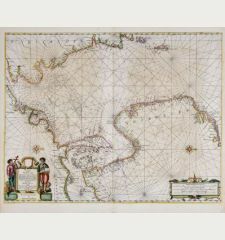 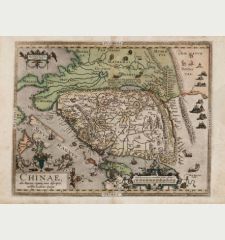 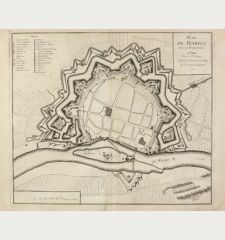 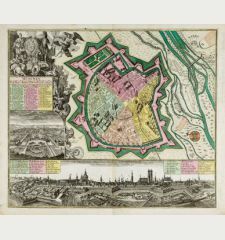 The origin of this maps is David Seltzlin's map of 1572 (Meurer p. 235-236). 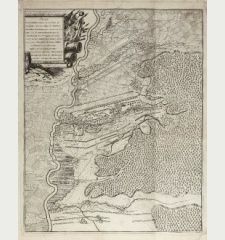 Tear in lower margin backes, not affecting the image. 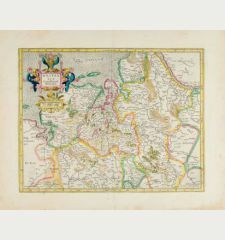 Abraham Ortelius: Circulus sive Liga Sueviae, vulgo Schwabische Kraiss.